principles; customer-focus; confidence; competitiveness and efficiency; professional and capable management as well as commercial orientation with fair business principles. As one of the measures to achieve these ambitious aims, the company is strengthening its Corporate Social Responsibility (CSR) program. KeSEMaT is a not-for-profit-organization, initiated and led by students and one lecturer from the Marine Science Departement at the University of Diponegoro (UNDIP) in Semarang, Indonesia. KeSEMaT, which stands for “study group on mangrove ecosystems”, has built up a solid reputation since its inception in 1998 for its community based mangrove conservation projects. The organization’s staff consists entirely of students, working on a voluntary basis. Given the good reputation of the organization and the possibility to gain well-recognized work experience, KeSEMaT proves to be very popular among students. They have to fulfill demanding entry conditions in order to be selected for KeSEMaT, because there are always more applicants than the organization can accommodate. In 2008, KeSEMaT decided to write to twenty large companies with operations in the Semarang area, asking them for financial support. After contacting the CSR units from all initially addressed companies, three of them finally decided to work together with KeSEMaT (approximately 15 percent). One company willing to support KeSEMaT was PT Pertamina. Given the good reputation of the organization and the possibility to gain well-recognized work experience, KeSEMaT proves to be very popular among students. In contrary to other interested companies, PT Pertamina did not want to fund a specific project, such as a mangroves planting day or similar. They were much more interested in giving the organization room to decide itself, where the money is spent most effectively. Therefore, KeSEMaT prepared a project proposal in an iterative consultation process with the local communities and PT Pertamina. Eventually, all stakeholders agreed on specific project ideas and KeSEMaT could start with the planned activities. KeSEMaT is currently using the funds from PT Pertamina for several projects. One of them is a three hectare large pilot project site for rehabilitation. 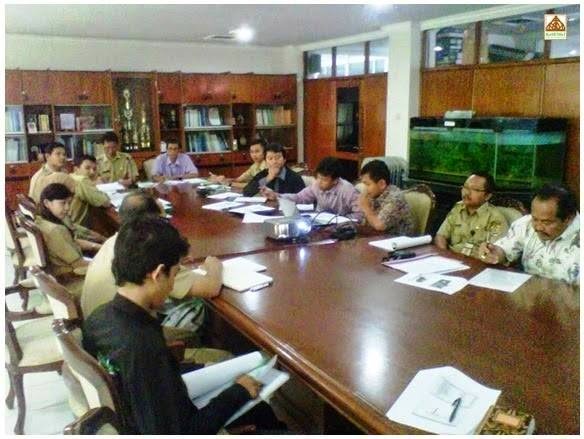 The aim of this pilot project is to identify appropriate techniques for mangrove rehabilitation in this and similar areas and at the same time to establish a training site for local communities, students and Pertamina’s employees among others. The site is located in Jepara, a two hours drive away from Semarang. The nursing activities and the whole project implementation are conducted by a spin-off organization from KeSEMaT known as “Mangrove Education Centre of KeSEMaT” (MECoK), which was founded by KeSEMaT in 2001. The benefits for all involved stakeholders are considerable. The local communities receive the desired support for implementing their already existing plans to address their needs. The villages feel respected in their way of thinking and working and benefit from the technical support provided by KeSEMaT. 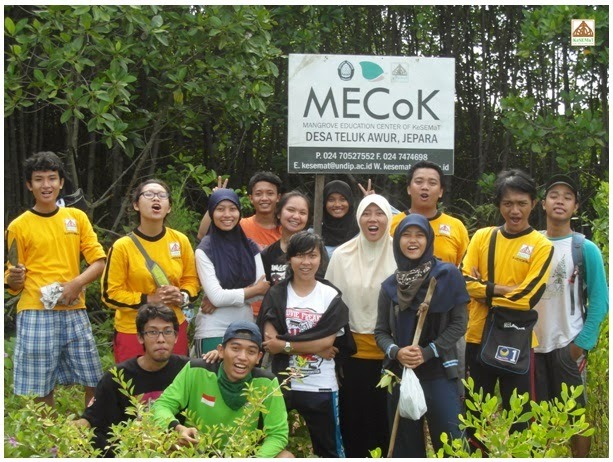 “Mangrove Education Centre of KeSEMaT” (MECoK), which was founded by KeSEMaT in 2001. The student organization works as a linking element between companies interested in CSR and the local communities. Through the already conducted needs assessments and established contacts to the coastal communities, KeSEMaT knows exactly where the greatest needs and interests of the communities are as well as where projects will be most effective. Furthermore, students get the chance to apply knowledge gained during their studies and can test it in real, practical and challenging projects. 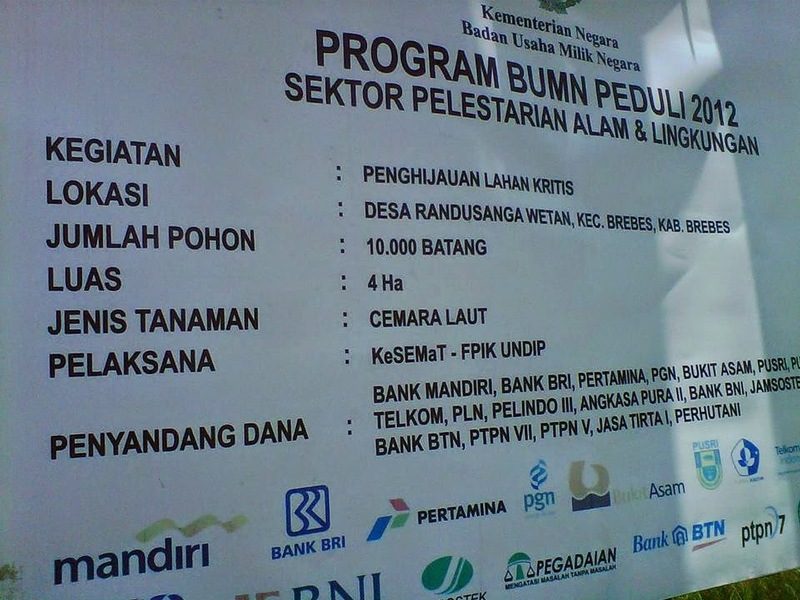 The oil and gas company has the intention to spend a certain amount of funds for CSR activities such as educational program, health, infrastructure and community empowerment, and as oil and gas company, Pertamina has primary concerned of continuity environment such as mangrove rehabilitation but is lacking the expertise for specialized projects and was therefore looking for a partner to implement good project ideas. Furthermore, contacts to local communities in the area of project implementation were not in place. By working together with the student organization these limitations have been compensated. The projects developed, funded and implemented through partnerships of the private sector, environmental organizations, municipalities, communities and other stakeholders have the potential of lasting over a sufficient period of time and providing a major sustainable improvement for communities. MFF strongly encourages such multi-stakeholder partnerships. (Simone Frick).